Onions are a natural cure for many health problems. It is the best remedy for severe vomiting and as a general antibiotic that can boost your immune system. The onion is from the allium family and is rich in sulfur providing the onion with its antibiotic and antiseptic properties. Onion is also extremely high in antioxidant Querectin which helps the body to fight free radicals. Natural Cures. Respiratory conditions respond well to onion juice as it is a great expectorant. Onions are good for cholesterol levels, heart, arthritis, a great antioxidant, and good for diabetes due to its flavonoid and sulfur compounds. Onions have been used as a standard treatment for thousands of years. •Breakup chest congestion- Crush an onion within coconut oil. Coat the chest with onion paste and cover the chest with a dish towel then a shirt. •Colic- Cherokee Indian recipe for colic babies: Boil a small amount of diced yellow onion in water. Let the onion cool in the water then drain. Feed a teaspoon of the onion tea to the baby every hour until the baby appears to have some relief. •Ear pain/infection– Chop onion and put them into a thin sock and tie the sock closed. Place the flattened onion sock over the troubled ear and cover the head/ear/sock with a hat to hold the sock in place. Remove when pain is gone. •Cuts- The transparent film of the onion skin will stop moderate bleeding immediately. It also acts as an antiseptic for the wound. •Cough- Peel a large onion and slice in half. Cover the face of each onion with 1 tablespoon of brown sugar and cover the onions for one hour. The sugar/onion relish should be taken twice a day to help with the cough. •Fever- Slice an onion into thin slices. Rub the bottom of the feet with coconut oil. 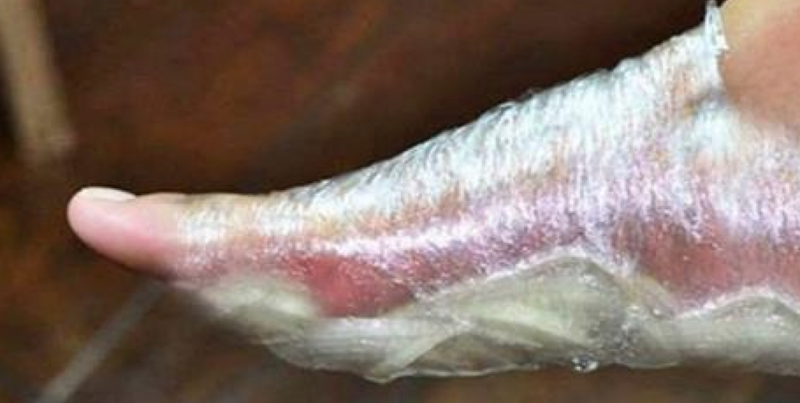 Put a thin slice into the arch of each foot and wrap with cling wrap. Cover the onion/feet with sock over night to allow the onion to draw out toxins and the illness from the body. •Cleanse the air- Place slices of onion on plates throughout your house to purify the air of viruses and bacteria. •Vomiting- Grate 1 white or yellow onion. Press the onion juice from the onion wrapped in a cheesecloth. Brew a strong cup of peppermint tea and let it cool. Drink 2 teaspoons of the onion juice and wait 5 minutes. Drink 2 teaspoons of the cool peppermint tea and wait 5 minutes. Repeat both the onion juice and peppermint tea until the symptoms subside. Vomiting should stop immediately and the nausea should go away within 15 minutes.